Titalia's and its qualified partners labs and workshops are specialized in the machine working and treatment of titanium. The machine working of this material, especially the commercially pure, it's not particularly complicated provided always that its physical and chemical properties are properly observed. 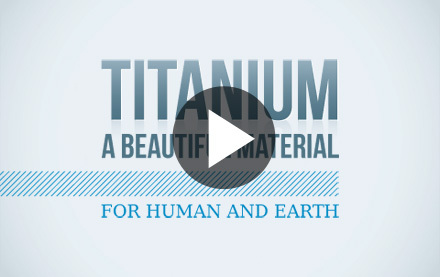 Furthermore, the fully owned 2,5oo square metres forge allows Titalia to complete the titanium production cycle, handling both requests based on custom customer specifications and order of standard components in big quantities. Titalia is equipped with machineries for water jet cutting for plates which go from 6,000 up to 2,500 mm with pressures up to 6,300 bars. The water jet cutting process uses an abrasive which allows to realize “cold” cuttings without modifying thermically the cutting zone for thicknesses up to 200 mm, also on Customers’ drawing. Titalia's fleet of machinery is equipped with band saws which can handle diameters from 10 up to 1,000 mm. Moreover, for a short time now a new machinery is operative: this machinery, using the EDM system, can cut with decimal accuracy perimeters up to 800 mm. Titanium forgings are highly required in different fields like the chemical, petrochemical, automotive and aeronautical industry. The fused product (lingot) doesn't have optimal mechanical features when purchased; for this reason, through the forging process, it is hot worked and transformed in other forms. In this way is it possible to obtain shafts, plates, rings, valves, flanges, etc. : under this form titanium has better mechanical features which can be find in the ASTM/ASME 381 international standards. To realize this kind of process, Titalia is equipped with two 600 tons presses, two trip hammers and two ovens. The ovens have temperature control tools which are precisely certified and fine-tuned to guarantee the best reliability of the provided product. The titanium forging process creates tensions inside the crafting and only a stress relieving heat treatment can guarantee dimensional stability and optimal mechanical features. Particularly, the titanium annealing process is essential for the further treatment of the material and to eliminate the tensions caused by the forging processes: all Titalia forgings are annealed to guarantee a quality product. The treatment is completely realized by Titalia or by qualified external structures. fine crafting carried out using precision lathes also at numerical control. To put on the market titanium material and products of top quality and reliability it is important to check carefully all the titanium characteristics during all the production stages from the supplying of the raw material to the delivery of the finished products. Test and controls are always carried out according to technical specifications, procedures and quality handbook. A careful control is essential in all the critical situations where each single imperfection could compromis big plants operativity with possible risks for people and the environment. The market prefers high quality titanium products with very low iron and hydrogen percentages: for this reason Titalia realizes on request specific chemical analysis on the composition of the purchased product and verifies the correct composition of the product itself. Always on request, the material undergoes mechanical tests of tension and resilience and we also realize the “Non destructive tests” like ultrasound (level II) and liquid penetration inspection (level II), in accordance with European international standards UNI EN ISO 9712 and also the American ASNT-TC-1A. Every step of the processing implies a careful dimensional test using gauges, micrometers and meters. Every titanium crafting produced in Titalia undergoes a marking process: plates and sheets are marked with ink and labels, while forged items are marked with a special pistol. Heat number, lot, ASTM/ASME/DIN/WR/MIL/AMS standards are stamped on each titanium piece. In this way it is possible to reconstruct the story of the crafting, from the original heat to the finished product. On request is it possible to put additional marks on every single titanium crafting. Titanium welding processes are particularly complex: the quality of the finished product is guaranteed by the strict testing practices and by the technical ability of the Staff.